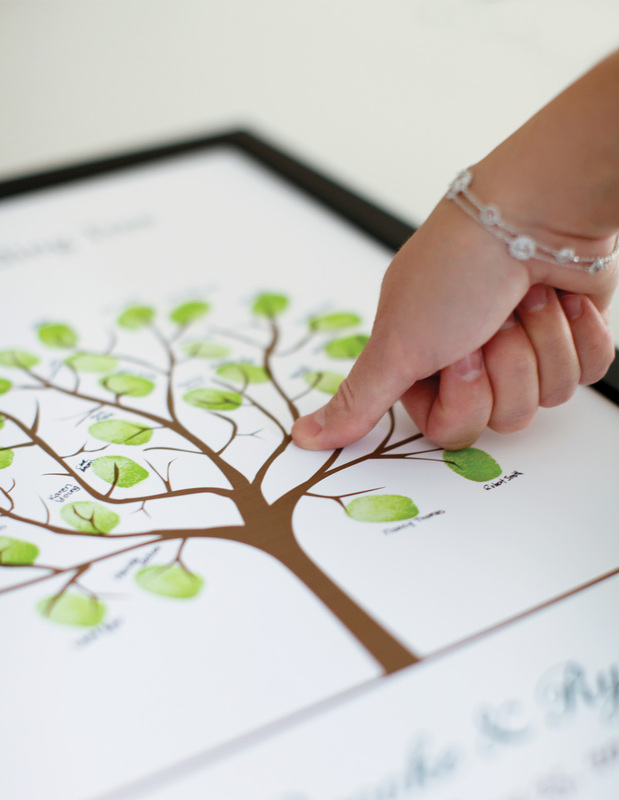 Each guest stamps their fingerprint on the poster and writes their name. 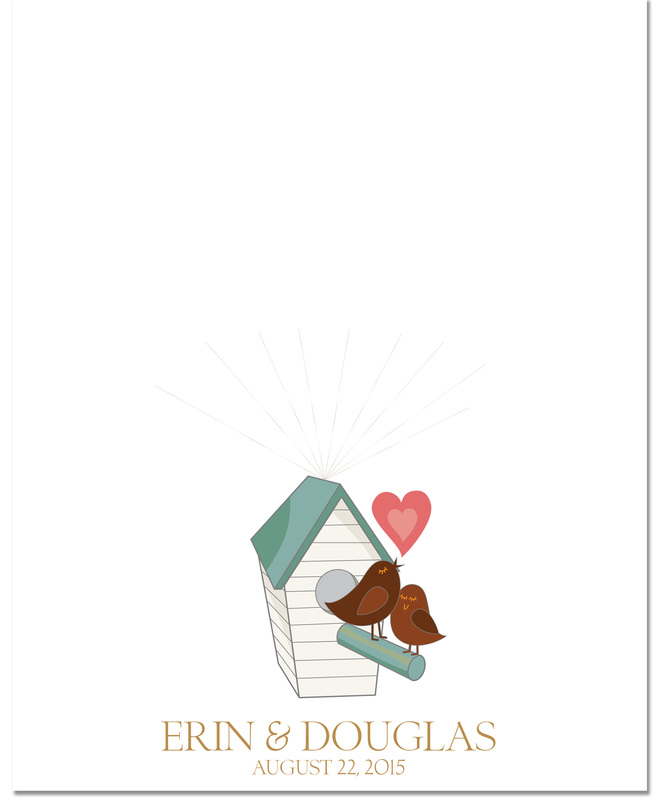 Even though I didn’t work on Erin and Douglas’ other wedding designs (or even met them), I got the colours from the invite she sent and built the illustration from her suggestions and a few stock illustrations. What about you? 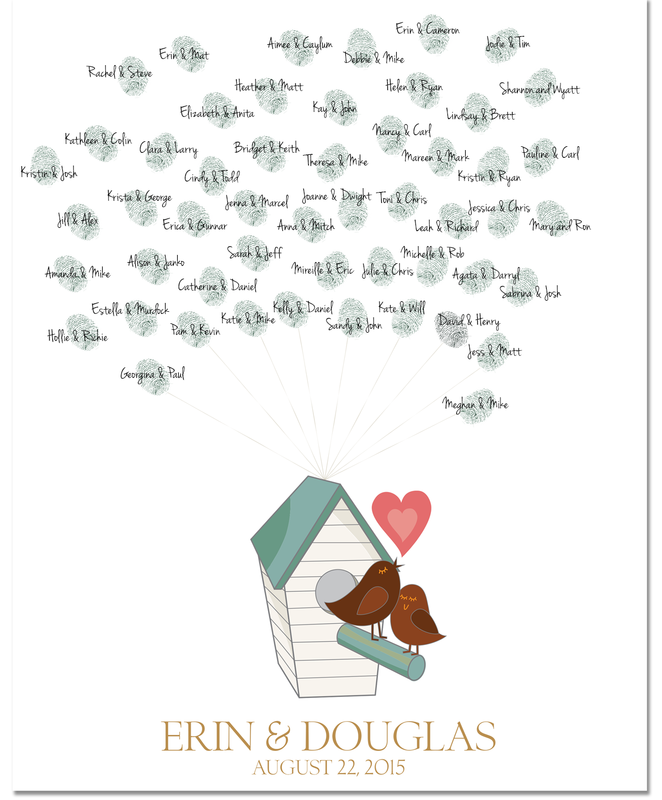 What kind of guest book did you have? Mike and I had comment cards .I still have and they’re awesome.